I am so excited to share 2 quilts that I have been keeping secret until today :) Here's the secret . . . The fabrics Fat Quarter Shop sent me for this quilt were the solids from Bonnie and Camille's Scrumptious line. I just love how they really make the Sister's Choice block pop!!! And here she is lying in the beautiful afternoon sunshine. Isn't it just so fun to see a classic block look so today!!! I changed up this version just a bit from the pattern. I made a slightly larger block so that I wouldn't have to make as many for a twin size :) I then did a double sashing so that the different colored polka-dots would play nice and added some cute little 1" 4 patches for corner blocks. So cute!!! I quilted this version with a combination of some of my favorite flowing designs. There are echoed paisleys, swirls, and what I like to call tendrils. I just love seeing how much movement this creates, the three designs all flow so nicely together. Just look at all of that yummy texture. Oh, I just want to keep petting this quilt. I am so happy with how it turned out!!! I just love everything about it!!! Positively gorgeous. You knocked it out of the park this time, girl. Beautiful! I just love the pinks and greens together. They both are wonderful! Love your quilting too!! 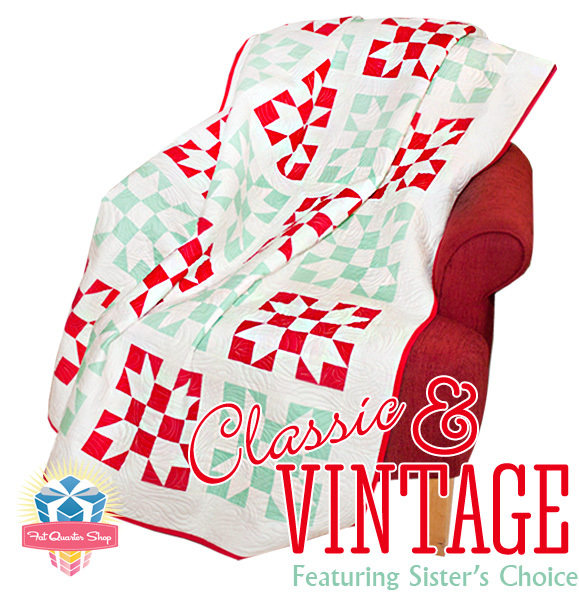 I am inspired to make an aqua, white and red quilt now - that is gorgeous!!! LOVE both of these quilts. The red, aqua, and white combination is another favorite of mine (kind of like the greens and purples and blues). Oh how beautiful. Love your fabrics. I "just" made this block today for a women of the bible quilt I'm finishing up. Echo paisley finishes this stunning quilt beautifully! What a fantastic series by FQS! that is so exciting!! congratulations! BOTH of your versions are beautiful! Both are just gorgeous, Melissa, and the quilting is beautiful. I love the quilts and particularly like the fabric choices for your daughter's quilt.The quilting is. fabulous. Oh! Jocelyn's big-girl-bed-quilt is lovely! I love the color palette on that one! Thanks for sharing the link to the free pattern, too. I just saw both on the Jolly Jabber. Both versions are really wonderful. Nicely done. Your little daughter is so cute on her new quilt! Love that you used dots, I try to get dots in everything I make! They are gorgeous! I love the fun polka dot background on the pink and green one. Your quilting is fantastic on both of them! I love your patterns... and would love to win Issue 8. thanks for the giveaway. and this is my second comment as I just "liked" you on FB. Love the picture of your quilt and cute daughter. I guess what I like to study is quilt magazines - have a lot and read them over and over. Study??? Me, study? Lol but I do love to look at new quilt magazines and learn from them new ways to quilt, tips, techniques and such! I love you Summer Breeze, Sisters choice, Simply By Design. Thank you for the opportunity to win the magazine and your give away! Stunning, Melissa!!! They are both BEAUTIFUL! Totally adorable in both fabric choices! So great! I love how you have combined quilting designs! Quite an honor to be asked to test a pattern!